The Rising Women Conference is a one-day, celebratory event and female maker faire. Our goal is to empower anyone identifying as a womxn to dream bigger and achieve the lives and careers they deserve. We’ll bridge together womxn from various industries, ages and walks of life in order to learn from each other, uplift each other and build a stronger community in Pittsburgh and beyond. Miriam Mayr is the youngest daughter of Sabika Founder, Karin Mayr. Miriam supported Karin in the beginning years of Sabika, helping with everything from the parties to developing administrative protocols and programs. At the age of 21, she decided to pursue her passion of performance and theater. She moved to Vienna, Austria, where she had the honor and privilege of living her dream on many famous European stages. 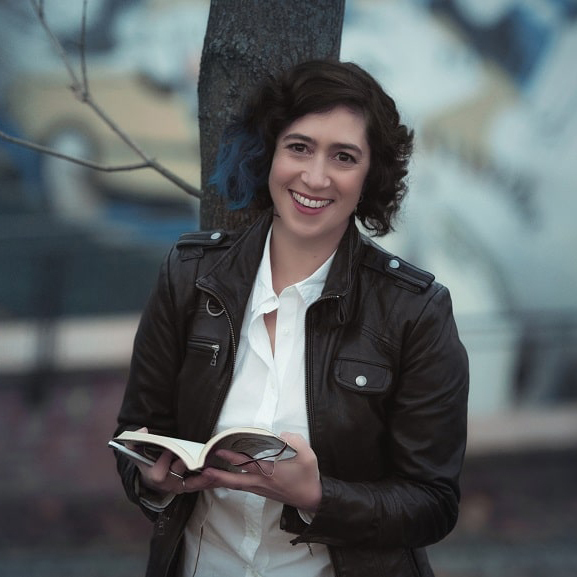 After eight years of performing arts, Miriam realized her true passion was not in telling stories on stage, she wanted to help nurture and develop the real life stories of others. In pursuit of her passion for people, she returned to Pittsburgh in 2014, and now holds the Director of Sales position at Sabika. The heart of Sabika is a story of connection, generosity and opportunity. Through Sabika, Miriam has discovered the chance to help women and men from across the country reach their goals and make their dreams a reality. As an entrepreneur, trend forecaster and business owner, Karin Mayr is both visionary and enduring. She spent part of her early career working as a liaison between European textile mills and American fashion houses such as, Donna Karan, Tahari, Armani A|X and Banana Republic. Karin has created a new category of ‘affordable luxury’ jewelry designed for the American lifestyle, complementing the staples of a woman’s wardrobe. Karin’s vision was clear when she started Sabika in 2001. At the age of 50, she created a company by women for women to bring beauty, joy and opportunity to women of diverse backgrounds and ages. 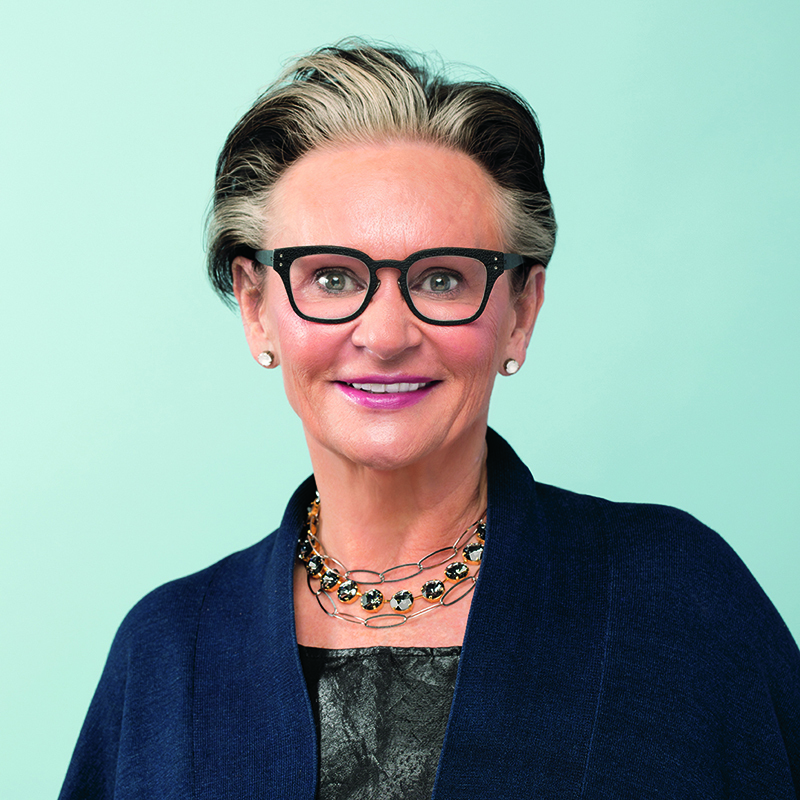 “Our products are handmade in Europe by female artisans and are uniquely designed to help bring out every woman’s individual beauty and style.” Today, Sabika has more than 1600 Consultants nationwide and as Founder & Chairwoman, Karin’s vision of connecting women and offering the opportunity to change their lives is carried on through the leadership of her daughters and the passion of Sabika’s Independent Consultants and Home Office Team. In 2001, Alexandra’s vision to study design was sparked by her mother, Karin Mayr, embarking on Sabika’s “by women, for women” business journey. Alexandra studied fashion design at The Fashion Institute of Vienna, where she became inspired to lead and empower women through the beauty of jewelry design. After returning to Pittsburgh in 2005, Alexandra was able to join Sabika as Head Designer on a full-time basis. The design concept is central to Alexandra's work and new role as Sabika’s President & CEO. She aims to translate the essence of women’s empowerment into the Sabika brand and opportunity. She is characterized by her eloquent style and personal approach to full-circle advocacy for women. Alexandra incorporates her Austrian heritage into Sabika by working with female artisans in Europe to hand make every piece of jewelry. Every piece translates balance and motion to create on-trend, yet timeless, jewelry to represent the modern female lifestyle. Following in her mother’s footsteps, she also advocates through Sabika’s philanthropic work in local communities with a focus on child abuse prevention, and through Sabika’s annual October Pink Party initiative for breast cancer awareness. 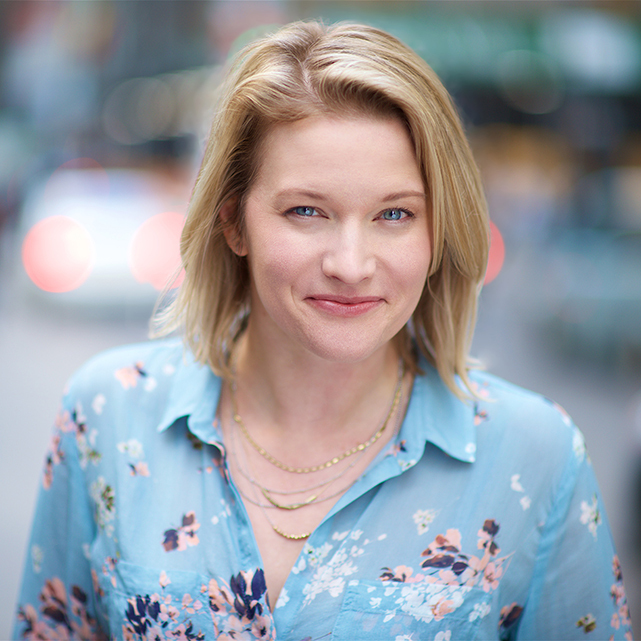 Alexandra Franzen is the author of So This Is the End: A Love Story. Other projects include You’re Going to Survive, 50 Ways to Say You’re Awesome, a bestselling question-of-the-day journal for couples called Our Q&A a Day, and a romance novel called Milk & Honey. 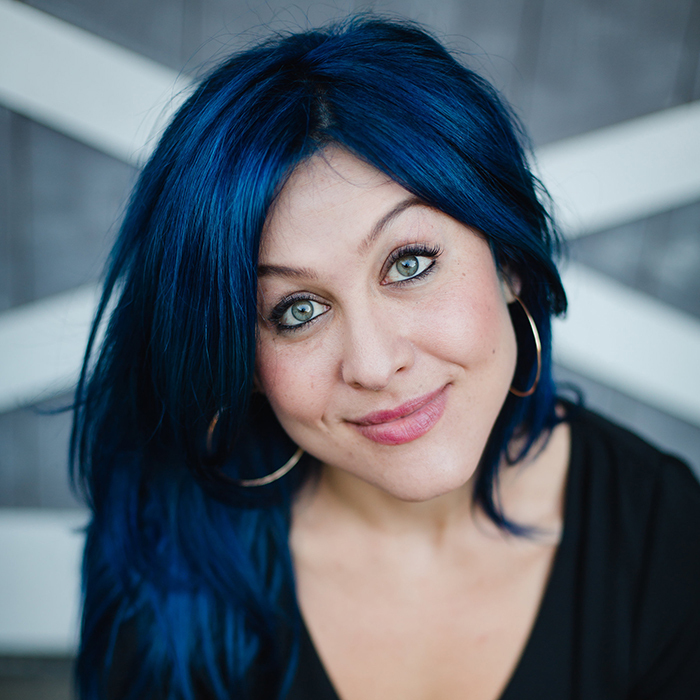 She has written articles for Time, Forbes, Newsweek, The Huffington Post, and Lifehacker.She has been mentioned in places like The New York Times Small Business Blog, The Atlantic, USA Today, StyleCaster, BuzzFeed, Brit+Co, and Inc.
She writes a newsletter to share inspiring true stories, writing and creativity tips, positivity, encouragement, and motivation to pursue your goals. She also works as a copywriter and writing coach, helping clients to develop podcasts, videos, websites, pitches, proposals, books, and other projects. AlexandraFranzen.com. Alex & The Wild Rose Collective Co-founder, Lindsey Smith, will be leading the Tiny Book Workshop on Sunday, March 10, 2019 as part of our VIP Weekend Package. Peachie was born and raised in Pittsburgh’s historic Hill District in 1964, the same year that the Civil Rights Act was signed into law. Her first memory of community, was the National Guard occupation of her neighborhood following the assassination of Dr. Martin Luther King, Jr. in April of 1968. She was born into a revolution, and it continues to inform who she is today. 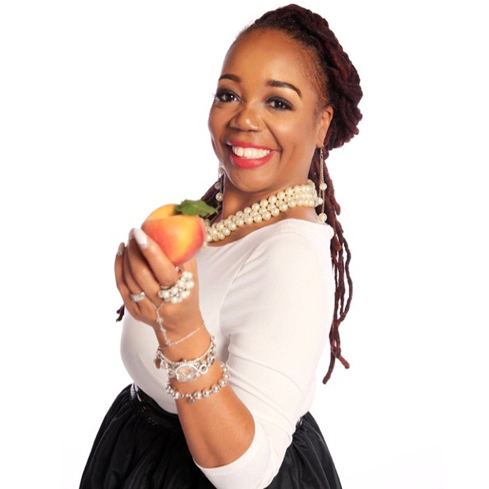 Peachie is also a U.S. Air Force veteran, a fairy godmother, a wife, teacher, closet comedian, counselor, straight shooter, life coach, and self-sufficiency (aka a get-your-life-together) expert. She is the mother to her children LaLa and Cameron, better known to his fans as Wiz Khalifa. Her favorite role to date is being “OG” to her grandson, Sebastian. Peachie believes we have a duty to leave the world better than we found it. She strives to serve and support women, especially, and their families to pay forward the incredible modeling and support she’s received in her life. Ta'lor Pinkston, MSW, aka The Heart Advocate, is a certified Self-love Coach who is dedicated to heart of every woman. She graduated with her Masters in Social Work at California University of Pennsylvania and founded LADYHOOD journey, LLC in 2015. She is a mompreneur, inspirational speaker, body-positive model, blogger and poet. LADYHOOD journey provides one-on-one coaching sessions that focus on the 10 branches of self-love, women empowerment and healing. She has a virtual support group for women + femme called The H.O.E. Truth (Healing Over Everything™) who are seeking support in every life transition in womanhood and motherhood. Marlene van Es is the principal attorney of Trellis Legal, LLC, a law firm she started straight out of law school, designed to change how legal services are delivered. Trellis provides innovative, accessible, and cost effective legal services to small businesses and non-profits. The practice specializes in food and agricultural business needs. Prior to starting Trellis, Marlene worked in clean air act litigation at an environmental non-profit, agricultural policy consulting, and has built erosion control systems and a large school garden in rural Kenya. She has a passion for social entrepreneurship, local food systems, and the outdoors. Outside of her law practice, she is involved in the Pittsburgh Food Policy Council and serves on the board of the Pennsylvania Farmers Union. She also have given talks all over Pennsylvania on farm legal issues and social entrepreneurship. Caroline Topperman is a European-Canadian writer, entrepreneur, dancer and world traveler. Born in Sweden and raised in Canada, with a stint in Poland, Caroline has a love of traveling and experiencing different cultures. She speaks fluent English, Polish, French and has even found a way to communicate with her playfully -mischievous dog, Pixie. Always a go-getter, Caroline has danced professionally, owned a Pilates studio, consulted customers at beauty counters and even had a short stint at a car dealership. She isn’t afraid to try something new and adventurous. Having traveled extensively with her family throughout her life, Caroline gained an appreciation of various styles, from her grandmother’s European jewelry collection to her French-Canadian middle school peer’s mini skirt made out of men’s ties. Caroline’s new book, Tell Me What You See, is a visual writing prompt book for both aspiring and established writers. Maya Henry is a writer, educator, and women's health advocate who helps people make everyday decisions to impact their lives and the planet. 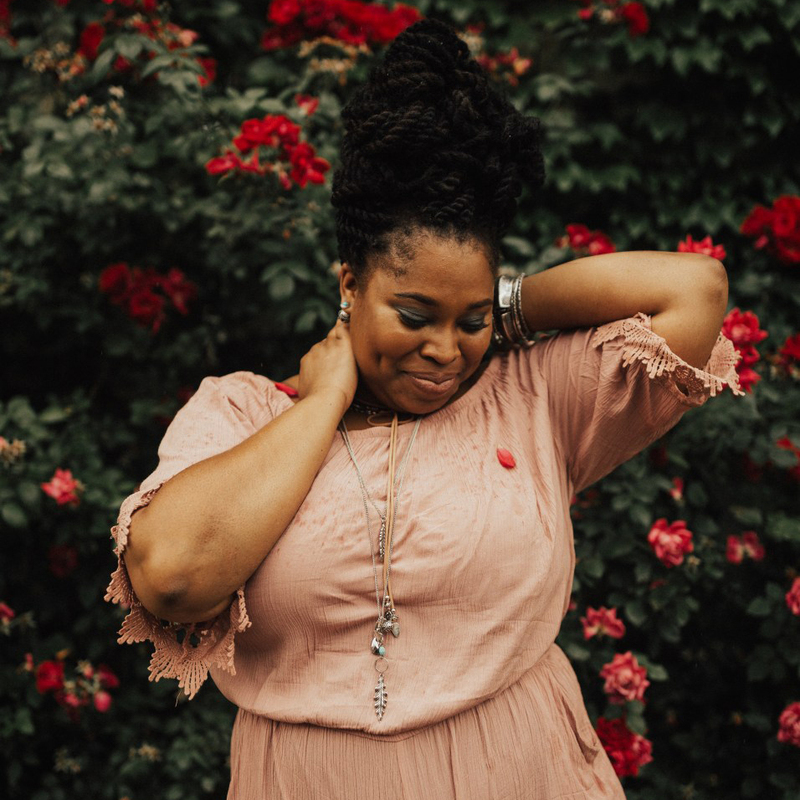 Whether working as a birth doula or teaching cooking or skateboarding lessons, she loves helping women build more confidence in their bodies and overcome the fears holding them back from living happier, more fulfilling lives. Maya is a certified health coach, Culinary Nutrition Expert, and Lamaze Certified Childbirth Educator. Maya has been featured in Runner's World, Women's Health, Bustle, Healthline, and Oprah Magazine Insiders, as well as locally on KDKA/Pittsburgh Today Live. 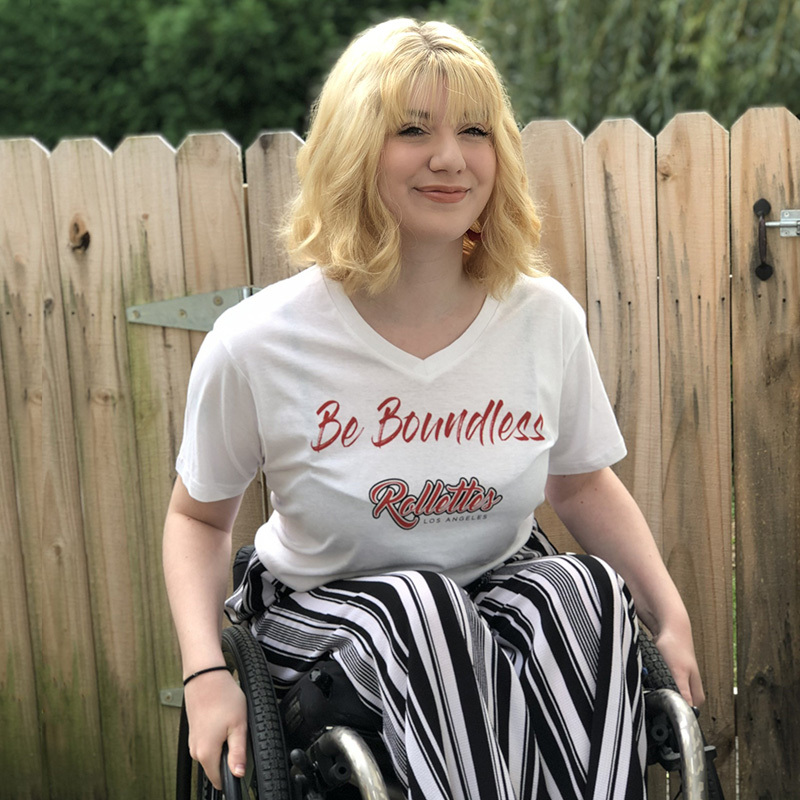 Evelyn “Ev” McConnell is an accessible education advocate, public speaker, and the first ever Junior Miss Wheelchair Pennsylvania. She was crowned by Ms. Wheelchair Pennsylvania 2018, Barb Zablotney in August of 2018. Ev is a high school senior, and also studies multimedia and web design at the Greater Altoona Career and Technology Center, as well as being a co-founder and board member of her area’s United Spinal support group in Johnstown, PA. Her passion is fighting for accessibility in schools, and pushing for more efforts and funding to be put towards making sure no students with disabilities face barriers to their education. As the founder and VP of Marketing of SDC Nutrition, Devenee comes to the world of protein supplements through the kitchen entrance. An executive chef with a zeal for cooking, she graduated from the Pennsylvania Institute of Culinary Arts in 2001. Devenee has been a fishmonger, butcher, business woman and devoted mother, but promoting the benefits of a low-glycemic lifestyle has become her life calling. Her personal goal: to help fight childhood obesity and slow the epidemic of diabetes that affect so many people today. This passion led her to help create protein supplements that were not only superior in quality, but also naturally delicious. These resilient women will each offer their own perspectives and insights on the topic of resiliency. Gisele Fetterman is an access and equity advocate, a hugger, the First Lady of Braddock, Pa and now, the Second Lady of Pennsylvania. She is the founder of Freestore 15104, where surplus and donated goods are received and redistributed to neighbors in need. The Freestore aims to eradicate food and clothing insecurity, and currently serves close to 1,600 clients a month. The Freestore has inspired 6 spin off locations and the birth of 412 Food Rescue. Gisele is the co-founder of 412 Food Rescue, a community wide effort to end hunger and reduce food waste. 412 Food Rescue works with food retailers, wholesalers and other food providers to rescue un-sellable but perfectly good food to feed the food insecure. She is co-founder of For Good PGH, a non-profit that works to advocate inclusion and inspire kindness. Its first initiative, Hello Hijab, has received both national and international praise. Gisele was born in Brazil and emigrated as a child to the US, living as an undocumented immigrant for over a decade. Her work has been featured in the Huffington Post, TODAY Show, CNN, NPR, NY Post and more. Gisele is a Forty under 40 honoree, a Tedx Speaker and a mother of three. Born in Chile, to an abusive home life, Sandra ran away and found herself homeless from age 15- 21. Life brought her to America, where she married and built a career as a wedding photographer. Sandra’s past conflicted with her new career, so she shortened the gap between wedding photography and social impact. She developed a business model that delivers leftovers from weddings to homeless people, donates wedding flowers to nursing homes, supports sustainable practices, and connects couples with vendors who give back. Her way of doing business challenges the parameters of the wedding industry, all while she heals the wounds of an abusive past. Tiffany Huff-Strothers is a wife, mother, evangelist and mentor for women. Through her work, she has become an award-winning author, entrepreneur, and sought after speaker who is passionate about helping women bounce back from their worst setbacks then share their stories and experiences to make a major impact. As the founder of The Tiffany Huff Experience, she provides personal development and coaching services for women, businesses and organizations. She is the founder and director of When She Thrives, an organization purposed to break cycles of single motherhood and build generational wealth. Tiffany received the Passion Meets The Road award for her work in the community with Coffee & Clarity. Additionally, When She Thrives’ longest standing program was recently named 2018 Professional Woman of the Year by Strong Women Strong Girls. In 2017, she published two books: 30 Day Stay: A Story of Escaping Death, Healing From Heartbreak & Finding Hope in Homelessness, and EmpowerMoments for the Everyday Woman: A 31 Day Devotional to Empower Your Womanhood. And through When She Thrives she worked with seven single mothers to publish Scenes From A Single Mom, Volume I: Truth, Trials + Triumph in 2018. In her spare time, you can catch her curled up with a good book or in her kitchen trying new recipes. You can learn more about Tiffany and her work www.tiffanyhuffexperience.com or whenshethrives.org. Tammy Thompson's personal route from Bluefield, West VA, to Pittsburgh was paved with unfortunate occurrences, homelessness, loss and countless obstacles. The story of her journey, “One Can of Carrots” has become one of her signature talks and resulted in the creation of workshops and curriculum rooted in her expertise on The Psychology of Poverty. The Psychology of Poverty training gives participants an opportunity to shift their perspectives and recreate how they’ve been impacted by the psychological implications of poverty—it provides an avenue to re-route their relationship with money. She says “Poverty is not just about NOT HAVING MONEY." Tammy is a Poverty Expert, Nationally Sought After Speaker, Executive Producer of We Wear The Mask, a documentary released in 2017 highlighting the stigma associated with women in poverty and The Owner of T3 Consulting and T3 Media. Her work has been featured in The Pittsburgh Post Gazette. Tammy is also the Executive Director of Circles Greater Pittsburgh, a local non-profit organization. She is a mother of five and grandmother of 17. She now lives in Pittsburgh and is raising her granddaughter. Jay Yoder is an innovative non-profit development and communications professional, and a queer feminist anti-violence activist. For over a decade Jay has been educating and engaging folks around trauma recovery, community building, and connecting across the intersections of identity. 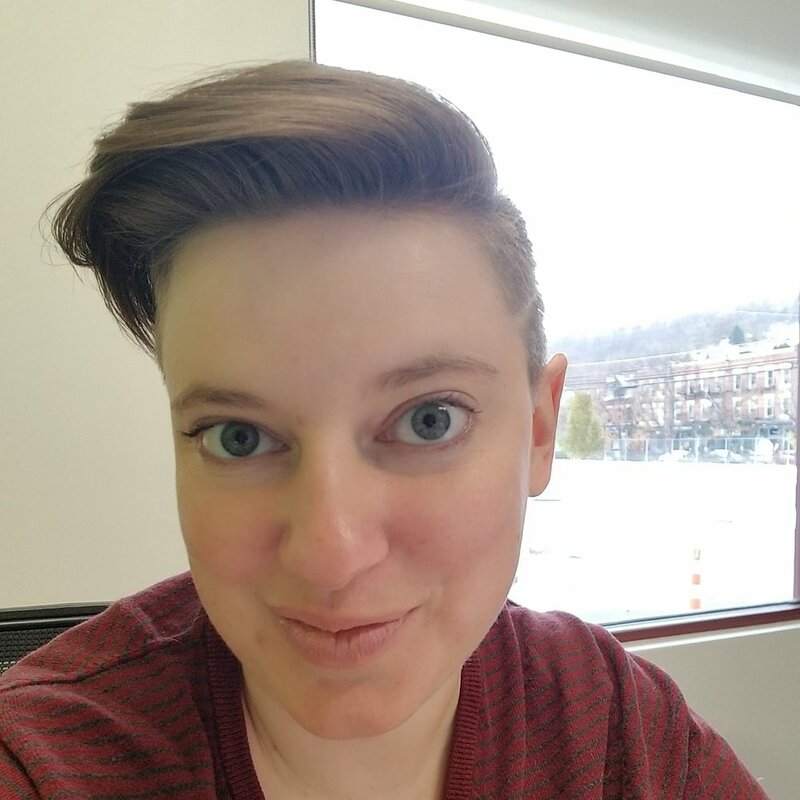 Jay currently works as the Director of Development at PERSAD Center, a Pittsburgh organization working to improve the well-being lesbian, gay, bisexual, transgender, queer/questioning (LGBTQ) people and those affected by HIV/AIDS. Heather K. Terry is one of the founders of NibMor Chocolate which can be found in thousands of retail locations within the US. She ran Ggachi Bakery in Greenwich, CT and is the author of From Broadway to Wall Street: Cautionary Tales of an Unlikely Entrepreneur (available on Amazon). Heather was the VP of Sales for S.W. Basics, a natural skincare company where she significantly grew the company’s brick and mortar door count and revamped the e-commerce strategy. Heather has advised dozens of start-up ventures which prompted her to launch Heather K. Terry Consulting in which she mainly works with female-founded companies. Most recently, she co-founded Paper Greats, a 100% recyclable and compostable solution to tableware. She is a graduate of Valparaiso University, has her masters degree from Mason Gross School of the Arts at Rutgers University, has a certificate in Digital Marketing from Wharton, and is a graduate of The International Culinary Center. Heather also hosts a podcast on iTunes called 'The Fifth Pallet Almost Killed Me' on which she discusses troubleshooting in the world of consumer packaged goods. 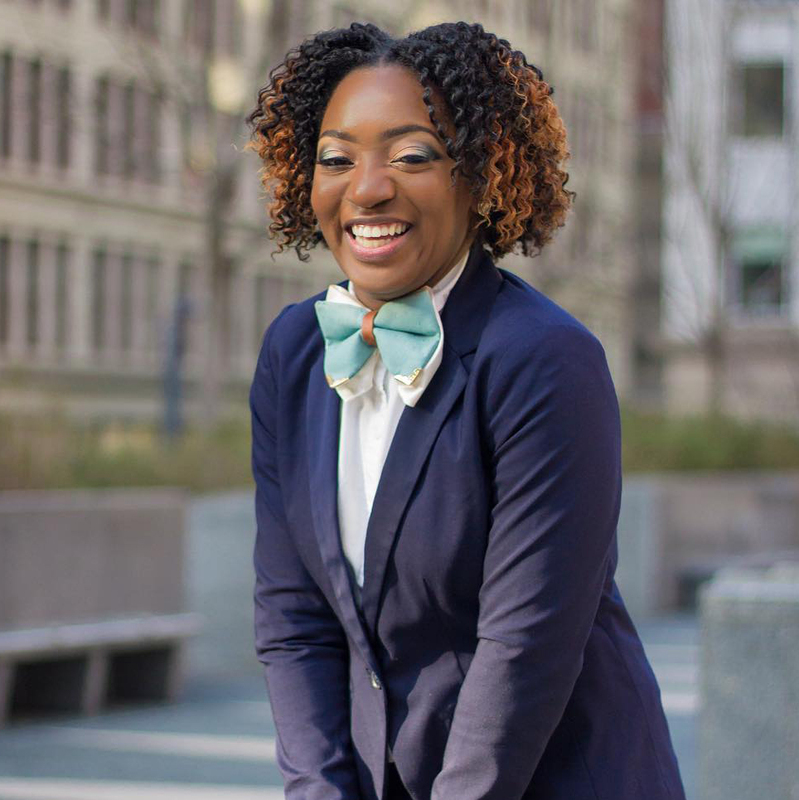 Khamil Scantling is the founder and CEO of Cocoapreneur Pgh, LLC, a Black business consultancy firm based and focused on the Greater Pittsburgh area. Born and raised in East Orange, NJ, a Black suburb of Newark, NJ, Khamil’s surroundings heavily shaped her outlook and philosophies on Black life. Khamil came to Pittsburgh in Fall 2005 to attend The University of Pittsburgh and was culture shocked when she witnessed the lack of diversity in Pittsburgh and among the Black communities in Pittsburgh. Over the next 10 years, she would grow an affinity to Pittsburgh that eventually led to her wanting to contribute to Pittsburgh’s growth. With her upbringing in mind, she thought that Pittsburgh could easily have thriving middle class neighborhoods. She began a campaign to assist Black businesses in predominantly Black neighborhoods in Pittsburgh with the goal of economically strengthening those spaces. This campaign eventually led to Cocoapreneur Pgh, LLC. Cocoapreneur serves as a liaison between the community and small Black businesses. The aim is to make Black businesses better equipped to serve the communities in which they reside and to point consumers to the Black businesses in their communities that contribute most to it. Khamil created the Cocoapreneur Directory to compile and organize Pittsburgh’s Black businesses and provide consumers with businesses in their neighborhoods that they could support and provide Black entrepreneurs with the traffic they need to flourish. Co-founder of Prototype PGH, Louise believes in the transformative power of making things—a central theme in her work as a maker and educator. Located in a warehouse in the North Oakland neighborhood of Pittsburgh, Prototype PGH is a feminist makerspace with over 150 paying members. Their mission is to build gender and racial equity in tech and entrepreneurship by providing affordable access to high tech tools and equipment, offering workshops that prioritize the experiences of women, and cultivating a gender-inclusive professional support network. 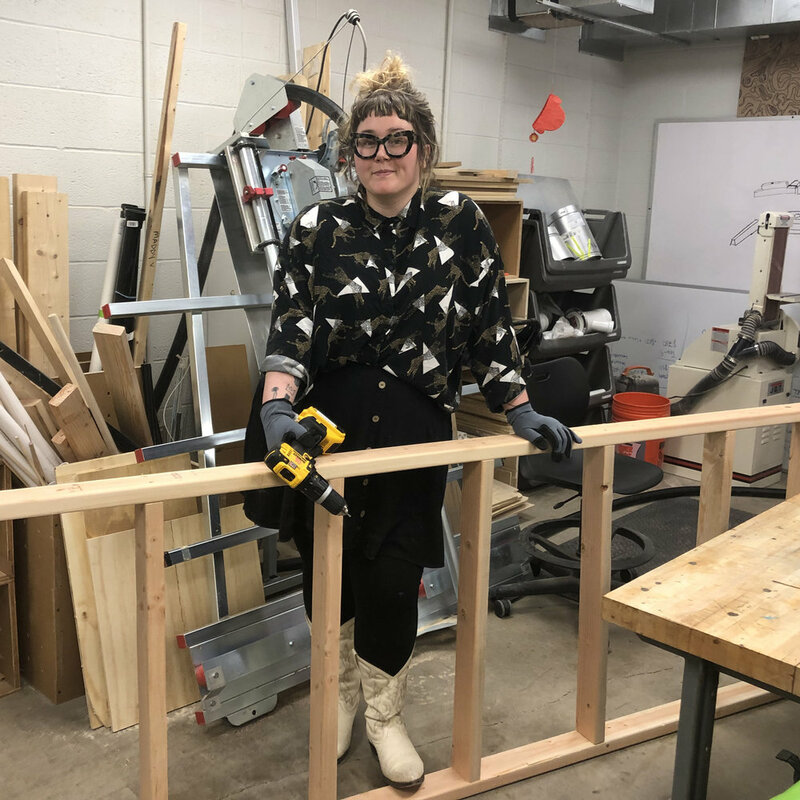 Louise teaches an interdisciplinary approach to digital fabrication at Carnegie Mellon University, where she is pursuing a Master's Degree in Design. She is also an amateur powerlifter, sewist, and dog person who loves to talk about the future of the internet. Louise is responsible for creative strategy at Prototype PGH. Ask her about growing up in Montana sometime. 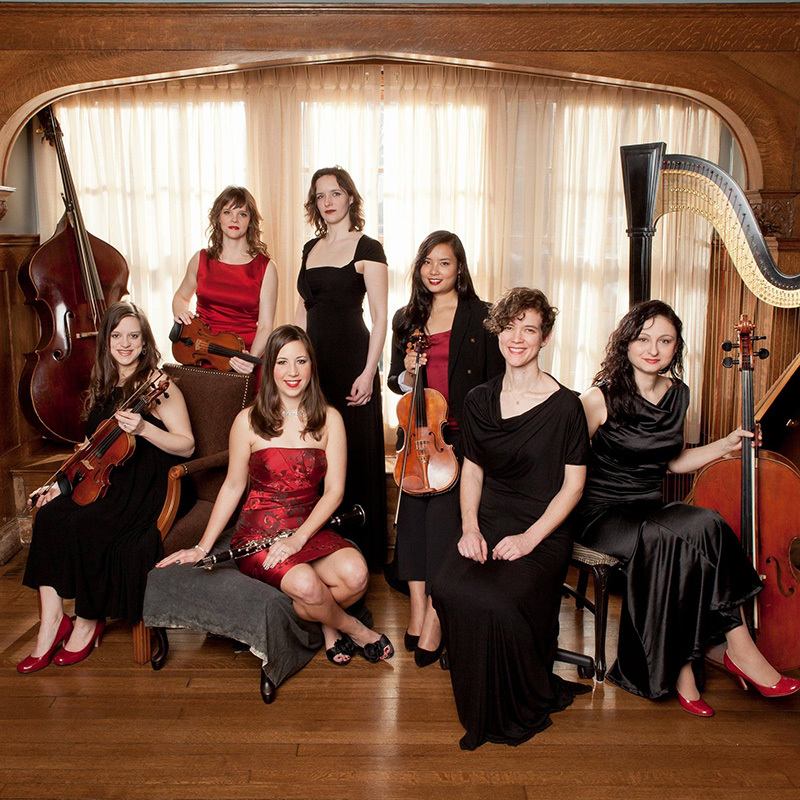 Kassia Ensemble is a newly formed chamber group in the city of Pittsburgh that strives for more inclusive gender and racial representation in the world of chamber music. Comprised exclusively of women, its members also hold positions in the Pittsburgh Opera and Ballet orchestras, the West Virginia Symphony, the Wheeling Symphony, the Erie Philharmonic and the Canton Symphony Orchestras. The members of the Kassia Ensemble came together in an effort to supersede the gender barrier that is prevalent in classical music. The decision was made to form an all-female ensemble in efforts to create an empowering environment of mutual respect and support which frees women to collaborate and express themselves at the highest levels of musicianship, artistry, and performance. The Kassia Ensemble promotes female entrepreneurship and leadership in the arts, while simultaneously embracing the performers’ unique experiences as women that deepen and expand their own creative output. 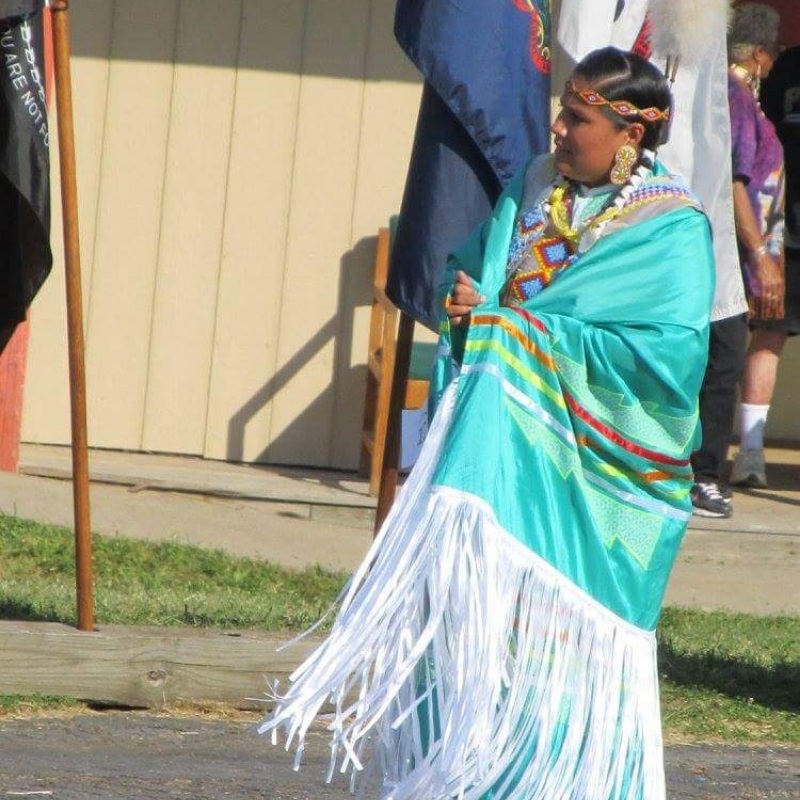 The Council of Three Rivers American Indian Center dance group is made up of over 20 dancers coming from all different tribes. The dancers you will see will be showing off several styles of female dances including the Women's Fancy Shawl, the Women's Jingle Dance, and the Women's Traditional dance. The songs heard are songs that have been passed down from generation to generation. The songs are chants made up of vocalables instead of words. This event would not be possible without the generous support of our sponsors. Thank you to these businesses for believing in The Wild Rose Collective and a growing community of womxn.